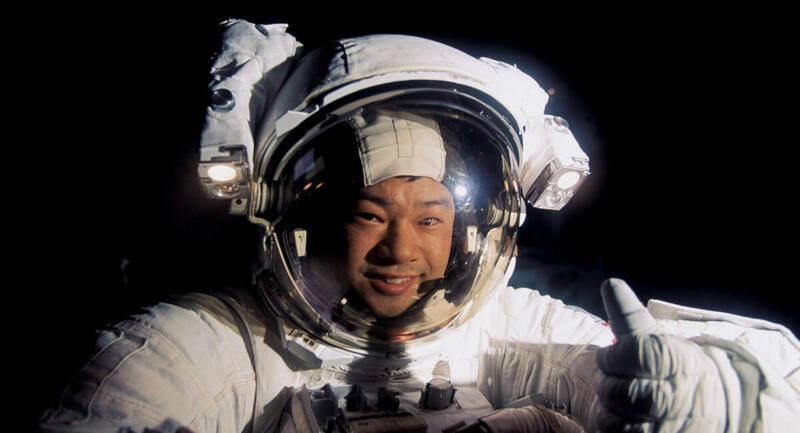 In 2005, astronaut Leroy Chiao was commander of the International Space Station for six and a half months. During a spacewalk with cosmonaut Salizhan Sharipov, the two were installing navigation antennas. They were 230 miles above Earth, traveling at over 17,000 miles per hour, when something unusual caught Chiao’s eye. “I saw some lights that seemed to be in a line and it was almost like an upside-down check mark, and I saw them fly by and thought it was awfully strange,” Chiao told The Huffington Post. Chiao’s fellow spacewalker, Sharipov, hadn’t seen the lights because he was facing the opposite direction. This experience, recreated in the above video (and still image below), launches “NASA’s Unexplained Files,” one of several programs presented as part of Science Channel’s week-long “Are We Alone?” series, beginning March 2. A down-to-Earth explanation is offered for Chiao’s sighting: the bright lights of a fishing boat hundreds of miles below him. But is that the only possible interpretation of what the astronaut saw? It’s easy for many to have no doubt that he witnessed an intelligently controlled extraterrestrial spacecraft. But Chiao doesn’t believe there’s ever been any tangible evidence that someone else is visiting Earth or has done so in the past. “I’m skeptical of claims that we’ve been visited by aliens from another planet or other dimension, but I don’t rule it out 100 percent. I have an open mind and I do believe there’s other life in the universe. “NASA’s Unexplained Files” episodes highlight possible out-of-this world UFOs either seen or photographed by astronauts over many years. An alleged photographic piece of UFO evidence occurred on the 1972 Apollo 16 moon mission when astronauts returned to Earth with several film cannisters, one of which showed something intriguing above the lunar surface — something that looks very much like a “classic” flying saucer. “NASA’s Unexplained Files” — exploring unusual discoveries and possible UFO sightings.“Close Encounters” — focusing on unsolved UFO stories and reports from around the world. “Alien Planet Earths” — zeroing in on the ongoing, exciting search for Earth’s twin planets that may harbor life. “Are We Alone?” week premieres on the Science Channel, Sunday, March 2 at 10:00 p.m. Check your local listings.